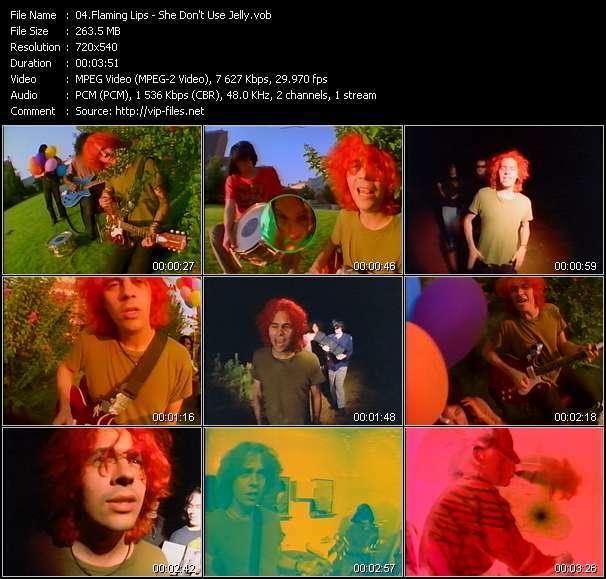 Download Flaming Lips Music Video "She Don't Use Jelly" of High-Quality in a Vob format. Flaming Lips video The W.A.N.D. Flaming Lips video Do You Realize?? Flaming Lips video Do You Realize?